Somers and Partners analyst, Duncan Hughes showed good foresight last week when he initiated coverage of Lucapa Diamond Company (ASX: LOM) with a speculative buy recommendation and a price target of 60 cents. Since then the company’s share price has increased from 47.5 cents to hit a 12 month high of 55 cents, representing a gain of approximately 15%. However, given recent better than expected first-quarter production and the fact that broker forecasts imply a seemingly modest production outlook and conservative fundamentals there could be scope for further upside. As a backdrop, LOM operates the Lulo Diamond Project, a 3000 square kilometre concession in Angola’s Lunda Norte diamond heartland located within 150 kilometres of Catoca, the world’s fourth biggest diamond mine. It should be noted, however, that for political and social reasons, Lucapa is a very high-risk stock. Getting mining projects up and running in countries such as Angola is no simple feat, and there may be challenges ahead. 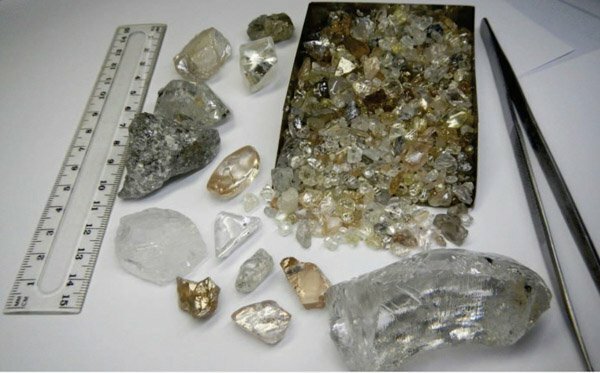 As highlighted by Hughes, LOM has a 40% interest in the Lulo alluvial diamond mine where a large proportion of gems recovered have a unique high quality Type 2a which are exceptionally rare and among the most valued and purest diamonds. He highlighted that Lulo also hosts an unusually high proportion of large ‘special’ diamonds weighing over 10.8 carats, placing these gemstones in the top 1% in terms of rarity and quality on a global scale. In February the company recovered the world-class 404 carat ‘Fourth of February’ diamond which was sold for US$16 million. In late September a parcel of 2209 carats of Lulo diamonds sold for gross proceeds of $5.3 million. 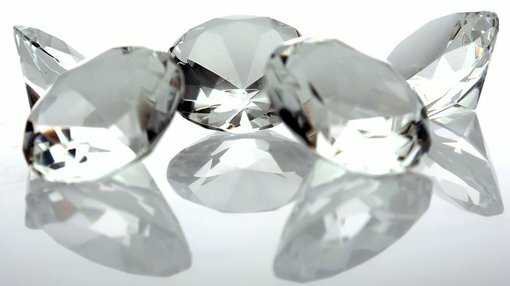 Lulo diamonds typically fetch much higher average prices with Hughes indicating approximately US$2100 per carat compared with the global average selling price of circa US$120 per carat. On Wednesday, LOM and its Lulo partners, Empresa Nacional de Diamantes E.P. (Endiama) and Rosas & Petalas reported record diamond production from the Lulo project for the three months to September 30, 2016. The September quarter production included a record 137 ‘special’ diamonds weighing a total of 3210 carats, highlighting the company’s ability to regularly produce large premium value diamonds. LOM also noted that the average diamond size for the quarter of 1.9 carats was a quarterly record, as was the average diamond grade of 13.7 carats per 100 m3. Hughes responded to the group’s quarterly production performance saying, “This is an exceptional result at Lulo and beat expectations on all fronts, indicating the new wet front-end to the plant has had an immediate impact”. The quantum of the outperformance was substantial with 8853 carats recovered beating Hughes’s expectations of 5562 carats. Hughes is looking forward to the company delivering favourable quarterly financials later this month, a development that could see forecasts upgraded, possibly providing further share price momentum. However, Hughes’ current earnings projections even as they stand at the moment make the company look attractive based on fundamentals. In fiscal 2017, he is forecasting production of 27,530 carats, generating EBITDA of $36 million and earnings per share of 5 cents. This places the company on a PE multiple of 10.5 relative to Wednesday’s closing price of 53 cents. Given that the company is forecast to generate earnings per share growth of 60% in fiscal 2018, the PE multiple appears conservative. One also needs to take into account that on an annualised basis first-quarter production equated to 35,400 carats, approximately 30% higher than Hughes’ projected production for fiscal 2017.